The Day of the Sun (Chosŏn'gŭl : 태양절; MR : T'aeyang-jŏl) is an annual public holiday in North Korea on 15 April, the birth anniversary of Kim Il-sung, founder and Eternal President of North Korea. It is the most important national holiday in the country,  and is considered to be the North Korean equivalent of Christmas. Kim's birthday, which had been an official holiday since 1968, was renamed Day of the Sun in 1997, three years after his death. The name takes its significance from his name; Il-sung is Korean for "become the Sun". McCune–Reischauer romanization is one of the two most widely used Korean language romanization systems. A modified version of McCune–Reischauer was the official romanization system in South Korea until 2000, when it was replaced by the Revised Romanization of Korean system. A variant of McCune–Reischauer is still used as the official system in North Korea. This is a list of public holidays in North Korea. See also the Korean calendar for a list of traditional holidays. As of 2017, the North Korean calendar has 71 official public holidays, including Sundays. In the past, North Koreans relied on rations provided by the state on public holidays for feasts. Recently, with marketization people are able to save up money and buy the goods they need. Mangyongdae (Chosŏn'gŭl: 만경대) is a neighbourhood in Mangyongdae-guyok, Pyongyang, North Korea. North Korean propaganda claims Mangyongdae as the birthplace of North Korean leader Kim Il-sung, although in his memoirs he wrote that he had been born in the nearby neighbourhood of Chilgol. Mangyongdae is, however, where his father, Kim Hyong-jik was from, and where Kim Il-sung spent his childhood. Mangyongdae has been designated as a historic site since 1947 and is listed as a Revolutionary Site. The original structures of the site have been replaced with replicas. The Kapsan Faction Incident was an unsuccessful an attempt to undermine the power of Kim Il-sung, the leader of North Korea, around the year 1967. The "Kapsan faction" was a group of veterans of the anti-Japanese struggle of the 1930s and 1940s that was initially close to Kim Il-sung. In the wake of the 2nd Conference of the Workers' Party of Korea (WPK) in 1966, the faction sought to introduce economic reforms, challenge Kim Il-sung's cult of personality, and appoint its ringleader Pak Kum-chol as his successor. The Central Committee of the Workers' Party of Korea is the highest party body between WPK national meetings. According to WPK rules, the Central Committee is elected by the party congress and the party conference can be conferred the right to renew its membership composition. In practice, the Central Committee has the ability to dismiss and appoint new members without consulting with the wider party at its own plenary sessions. Ko Yong-hui, also spelled Ko Young-hee, was the North Korean supreme leader Kim Jong-il's consort and the mother of North Korea's current leader, Kim Jong-un. 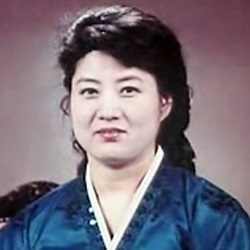 Within North Korea she is only referred to by titles, such as "The Respected Mother who is the Most Faithful and Loyal 'Subject' to the Dear Leader Comrade Supreme Commander", "The Mother of Pyongyang", and "The Mother of Great Songun Korea." Kimilsungia is a hybrid orchid of the genus Dendrobium. It is a clone of a plant that was created in Indonesia by orchid breeder Carl Ludwig C. L. Bundt, who in 1964 registered the grex name Dendrobium Clara Bundt for all orchids of the same ancestry, naming it after his daughter. It has a complex ancestry from cultivated orchids. An attempt was made to register the grex name Dendrobium Kimilsungia, but this is not valid, it is a later synonym of Dendrobium Clara Bundt. As a cultivar name, the correct name would be Dendrobium Clara Bundt 'Kimilsungia'. Another grex name Dendrobium Kimilsung Flower refers to plants of related but different ancestry. The Mangyongdae Funfair is an amusement park located in Mangyongdae-guyok, 12 kilometers from Pyongyang, North Korea. It has an area of 70 hectares including a funfair and wading pool. In fall, 2011 the funfair was reported to have little or no Korean patronage. It has been alleged that there is a lack of genuine customers with many visitors being bussed in to the attraction. It had a roller coaster, which, while operational, was in poor repair. There is a merry-go-round and a ridable miniature railway. Red Flag Mangyongdae Revolutionary School is an elite school in Mangyongdae district, Pyongyang, North Korea. Established in 1947, it is a special education school with access only to the Party, Army, administrative and high-ranking officials’ families. Originally, the school was called the Magyongdae School for the Bereaved Children of Revolutionaries, which was to "receive children of fallen revolutionaries" and "educate their children and train them into fine revolutionaries after the independence of Korea. It was located at Kan-ri, Daedong, South Pyongan. After the formal establishment of North Korea it was moved to Pyongyang and there the first statue of Kim Il-sung was erected, according to North Korean authorities, at the suggestion of Kim Jong-suk, Kim Il-sung's wife. Ten Principles for the Establishment of a Monolithic Ideological System are a set of ten principles and sixty-five clauses which is used to establish standards for governance and guide the behaviors of the people of North Korea. Kim Hyong-gwon was a Korean revolutionary. He is known for attacking a Japanese police station in Japanese-occupied Korea and subsequently dying in Seoul's Seodaemun Prison where he was serving his sentence. 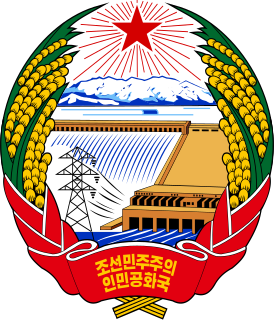 The Party Foundation Day is an annual public holiday in North Korea marking the 10 October 1945 foundation of the "Central Organizing Committee of the Communist Party of North Korea", known as the "North Korea Bureau of the Communist Party of Korea" in the West and considered a predecessor to the ruling Workers' Party of Korea. The Day of the Shining Star is a public holiday in North Korea falling on 16 February, the birth anniversary of the country's second leader, Kim Jong-il. Along with the Day of the Sun, the birthday of his father Kim Il-sung, it is the most important public holiday in the country. ↑ 극(克) (in Korean). 보스톤코리아 [Boston Korea]. 12 April 2010. Retrieved 7 May 2015. 1 2 3 4 Lee Sang Yong (17 February 2015). "Special Holiday Snacks 'Hard As Rocks'". DailyNK. Translated by Jiyeon Lee. Retrieved 7 May 2015. 1 2 3 4 Jae-Cheon Lim (24 March 2015). Leader Symbols and Personality Cult in North Korea: The Leader State. Taylor & Francis. p. 38. ISBN 978-1-317-56740-0 . Retrieved 3 May 2015– via Google Books. 1 2 3 Donald L. Baker (2008). Korean Spirituality. University of Hawaii Press. p. 149. ISBN 978-0-8248-3233-9 . Retrieved 3 May 2015– via Google Books. 1 2 3 4 5 Birthday of Kim Il-sung. Holidays, Festivals, and Celebrations of the World Dictionary (Fourth ed.). Omnigraphics. 2010. Retrieved 3 May 2015– via TheFreeDictionary.com. 1 2 3 Calum MacLeod (26 April 2013). "Korean defectors recall 'Day of the Sun'". USA Today. Contributing: Jueyoung Song, Duck Hwa Hong. Retrieved 6 April 2015. 1 2 3 4 Hy-Sang Lee (2001). North Korea: A Strange Socialist Fortress. Greenwood Publishing Group. p. 220. ISBN 978-0-275-96917-2 . Retrieved 3 May 2015– via Google Books. 1 2 Yoo Gwan Hee (15 April 2009). "Kim Il Sung's Birthday Is Still Biggest Holiday". DailyNK. Retrieved 6 May 2015. ↑ Corfield, Justin (2014). "Kim Il Sung". Historical Dictionary of Pyongyang. Anthem Press. p. 79. ISBN 978-1-78308-341-1. 1 2 3 4 "N. Korea Celebrates 'Day of the Sun'". KBS World Radio. 16 April 2015. Retrieved 3 May 2015. ↑ Martin, Bradley K. (1 April 2007). Under the Loving Care of the Fatherly Leader: North Korea and the Kim Dynasty. St. Martin's Press. p. 48. ISBN 978-1-4299-0699-9 . Retrieved 14 May 2015– via Google Books. ↑ Jae-Cheon Lim (24 March 2015). 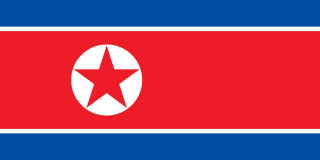 Leader Symbols and Personality Cult in North Korea: The Leader State. Taylor & Francis. p. 88. ISBN 978-1-317-56740-0 . Retrieved 3 May 2015– via Google Books. ↑ Jae-Cheon Lim (24 March 2015). Leader Symbols and Personality Cult in North Korea: The Leader State. Taylor & Francis. p. 48. ISBN 978-1-317-56740-0 . Retrieved 3 May 2015– via Google Books. 1 2 Lee Sang Yong (15 April 2015). "Day of the Sun Passes Much Like Any Other Day". Daily NK. Translated by Jonathan Corrado. Retrieved 3 May 2015. ↑ "Resolution on exalting President Kim Il Sung's life and feats forever". web.archive.org. KCNA. 9 July 1997. Archived from the original on 12 October 2014. Retrieved 11 September 2015. 1 2 3 Christopher Richardson (13 June 2013). ""Be Prepared!" Reflections on the North Korean Children's Union". Sino-NK. Retrieved 3 May 2015. ↑ Rothwell, James (15 April 2016). "As North Korea celebrates birthday of founding leader Kim Il-Sung, escape is harder than ever". The Telegraph. Retrieved 17 April 2016. 1 2 3 4 5 6 Ralph C. Hassig; Kong Dan Oh (2009). The Hidden People of North Korea: Everyday Life in the Hermit Kingdom. Rowman & Littlefield. p. 298. ISBN 978-0-7425-6718-4 . Retrieved 3 May 2015– via Google Books. ↑ Pang Un-ju (6 April 2017). "Preparations for flower festival in full swing". The Pyongyang Times. Retrieved 16 May 2017. ↑ Choi Cheol Hee (27 March 2008). "North Korea Changes Its Annual Spring Festival to a Biennial Event". DailyNK. Retrieved 7 May 2015. ↑ Choi Song Min (16 April 2013). "Spring Art Festival Off the Schedule". DailyNK. Retrieved 3 May 2015. ↑ Justin Rohrlich (12 April 2014). "What to expect at the Pyongyang Marathon". NK News. Retrieved 3 May 2015. 1 2 3 "N. Korea observes sanctified state holiday". NEW FOCUS International. 16 April 2014. Retrieved 3 May 2015. ↑ "Private flower producers profit on Kim Il Sung's birthday". DailyNK. Translated by Jonathan Corrado. 25 April 2016. Retrieved 25 April 2016. ↑ "Kim Jong-un pays tribute to grandfather on birth anniversary". Business Standard. IANS. 15 April 2016. Retrieved 16 April 2016. ↑ "North Korea Newsletter 358 (April 16, 2015)". Yonhap News Agency. 16 April 2015. Retrieved 7 May 2015. ↑ Toimela, Markku; Aalto, Kaj (2017). Salakahvilla Pohjois-Koreassa: Markku Toimelan jännittävä tie Pohjois-Korean luottomieheksi (in Finnish). Jyväskylä: Docendo. p. 40. ISBN 978-952-291-369-2. Wikimedia Commons has media related to Day of the Sun .